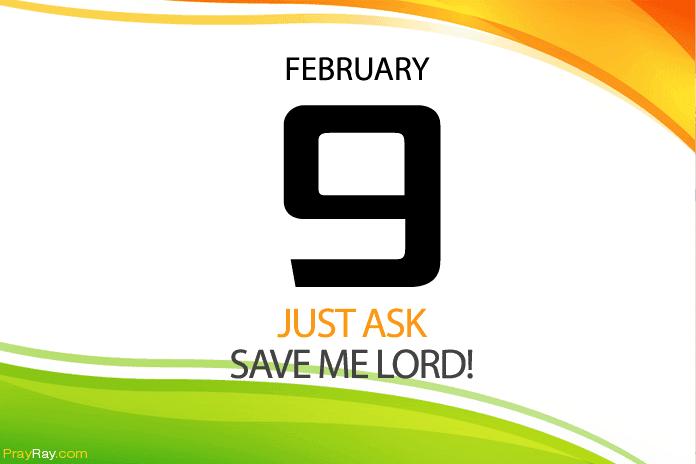 Save me Lord – Prayer for February 9. The hand of God is powerful and can save us from anything bad we get ourselves into. Let’s tell God to help us and save us with his right hand. Just ask – save me Lord! “Though I walk in the midst of trouble, You will revive me; You will stretch forth Your hand against the wrath of my enemies, And Your right hand will save me” (Psalm 139:7). God’s hand is very powerful that can do anything and it has authority. The hand of God is not limited only our sin can make him withdraw his hand from helping us. He wants us to humble ourselves and ask for the forgiveness of our sins, then his right hand will lift us up and make things work for our good. 1 Peter 5:6 “Humble yourselves, therefore, under God’s mighty hand, that he may lift you up in due time”. We all desire to get the best of what we do today, we want the result of our labor to be a better result. All these we can achieve easily if we can call on God to save us and help us. The hand of God can also cause you to say words that will comfort you and people around you. Jeremiah 1:9 “Then the Lord reached out his hand and touched my mouth and said to me, “Now, I have put my words in your mouth”. Seek the mighty hand of God today and He will turn things around for your own good. Lord, I know that your hand is mighty and powerful to save from any danger and from any situation, stretch forth your hand and save me Lord. Let your hand make every crooked way straight for me today. Lord, your hand is mighty and can cause every enemy to scatter. I pray Lord, anywhere there is gathering against me, let your hand scatter them. Father, if I have against you thereby causing your hand to be withdrawn from helping me, please Lord forgive me. I humble myself before you dear Lord for you to lift me up with your hand.